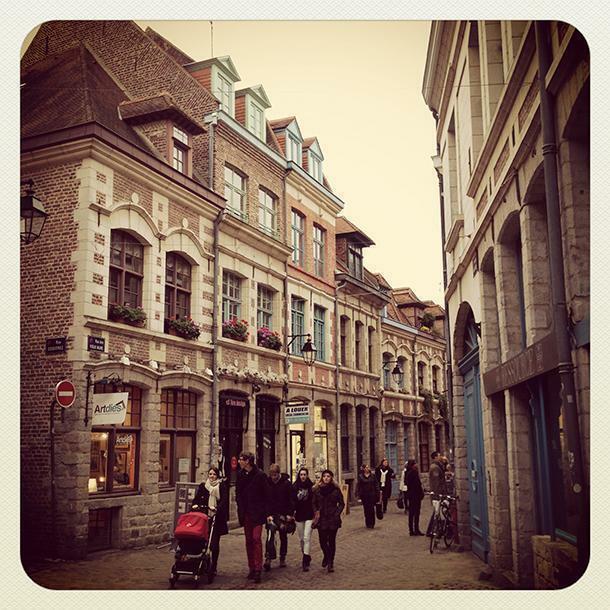 Back in December, we took a getaway trip to Lille, France with iDBUS. Despite its proximity to Brussels, we had never visited the French city before and we had no idea it was such a foodie paradise. We spent the weekend eating and sightseeing, and eating, and shopping (for food), and sipping cocktails, and still more eating. We feel like we barely scratched the surface of what the city has to offer; from restaurants and tearooms to gourmet shopping. Still, we wanted to share some of our favourite discoveries with you. 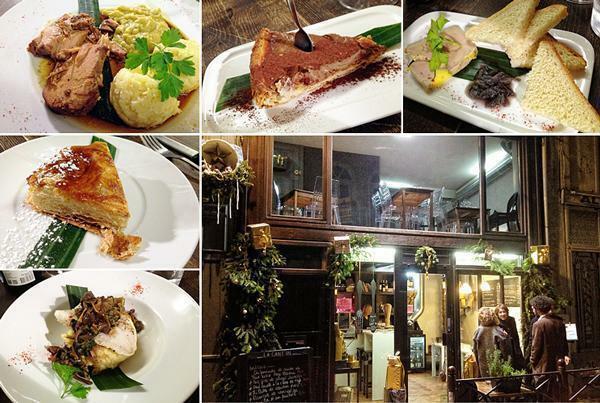 So here are our nine favourite foodie finds in Lille. 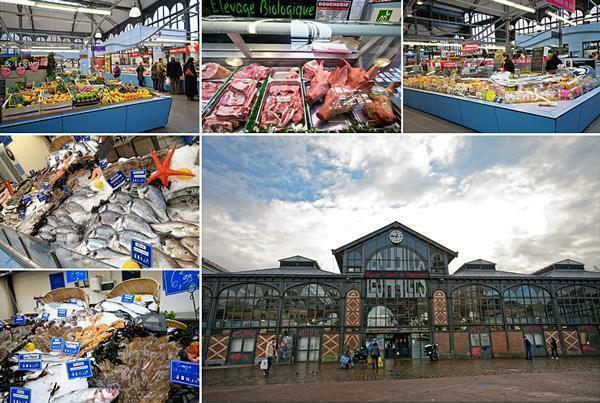 Plenty of foodie choices at the Halle de Wazemmes market in Lille. The market features local producers of everything from cheese to seafood. There are wine stalls, an organic grocery, and plenty of takeaway goodies like pâté, rillettes, breads, and even Asian food. It’s not a huge market, but it is well curated and friendly. 2. Comtesse du Barry (21 Rue Esquermoise) – Comtesse du Barry isn’t a Lillois company. In fact, it originates in South West France, near Toulouse (one of our favourite regions). However, the little shop in Lille is a treasure trove of foodie goodness. 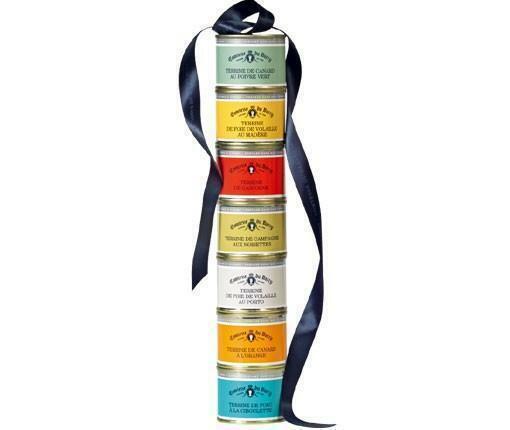 We first fell in love with their flavourful pâtés in tiny colourful cans (given to us as a gift from friends) and were happy to purchase another long ‘baguette’ to restore our depleted supply. Comtesse du Barry is most famous for its foie gras and there are plenty of samples on hand to taste test. You can also find smoked salmon, preserves, and even wines to wash it all down. 3. Au gré du Vin (20 Rue Péterynck) – This is both a delightful wine and gourmet shop and a tiny restaurant (although we only experienced the shop), featuring, again, many delicacies from Southern France; this time the Languedoc region. Among other goodies, we picked up a chestnut, foie gras and cèpe spread and preserved apples and pears in salted caramel. Yum! We’re looking forward to trying out the restaurant on our next visit. 4. Patrick Hermand (1 bis rue Bartholomé Masurel) – Even though I don’t have much of a sweet tooth, I could not resist the jewel box selection of Patrick Hermand macaroons. I was even more delighted to discover their savory versions: Foie gras with truffle, or sea salt, or port… heaven. I’ve never been a macaroon fan, but the salted caramel from Patrick Hermand could make me change my mind. 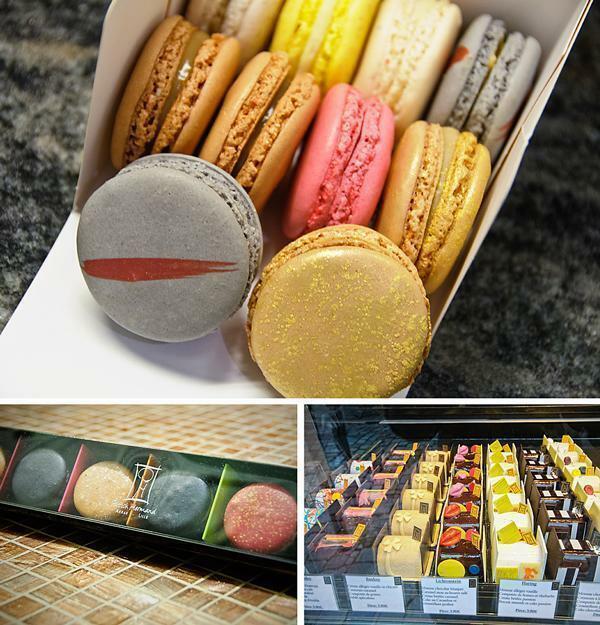 In addition to the signature macaroons, the tiny cakes lining the shop window look like works of art and indeed many of them are named after famous artists – the only decision is do you want to eat the Rothko or the Banksy? 5. Meert (27 rue Esquermoise) – When we asked for advice on where to go in Lille, readers, friends and random people on Twitter, all mentioned Meert. 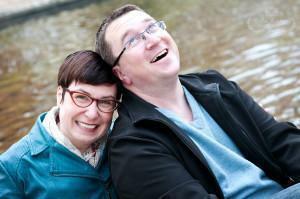 It was definitely worth the buzz (and tweets!). 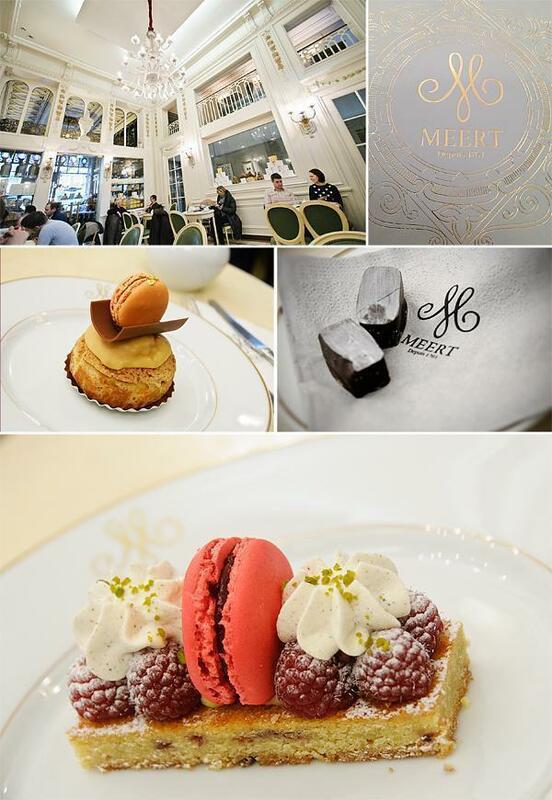 Meert actually falls into both categories, as it is both a tearoom/restaurant and a shop. After indulging in our treats, we popped into the shop, and couldn’t resist taking home a bag of tea and an adorable (and delicious) box of caramels. 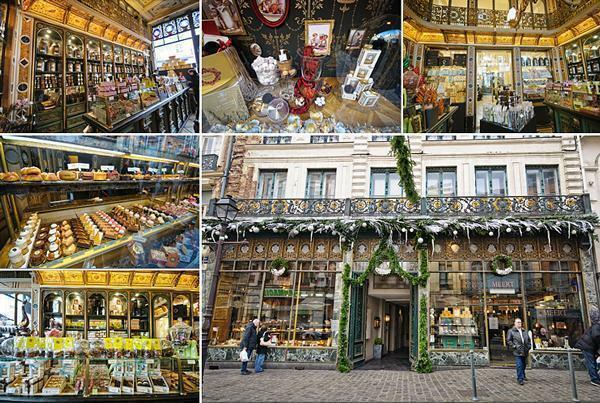 And the best news, I learned while researching this post – Meert has just opened in Brussels! Find them at Galerie du Roi 7. 6. Tous les Jours Dimanche (13 Rue Masurel) – This cozy cafe was hopping with the lunch crowd when we visited and we could see why. 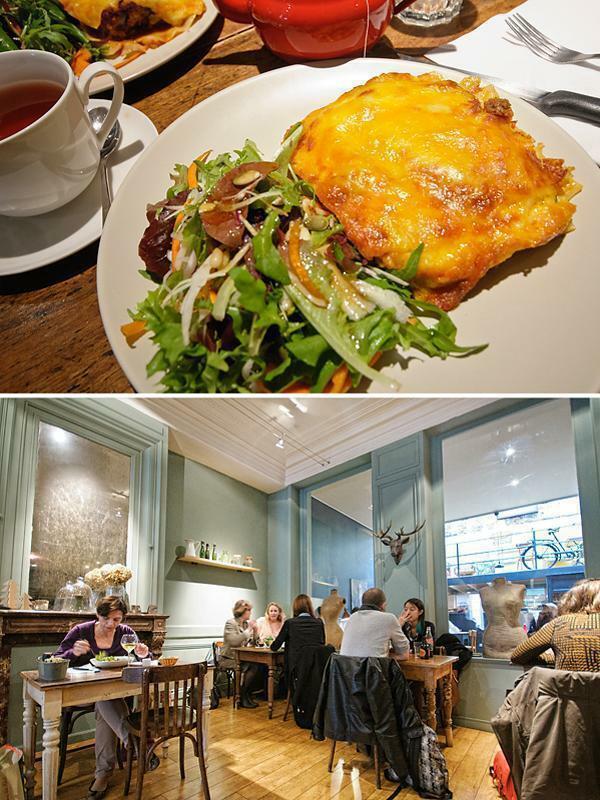 The menu is similar to a Pain Quotidien, quiches, salads, tartines, etc, but it’s more hearty and homey. We both enjoyed the homemade lasagne and the desserts were excellent. If you like to brunch like it’s Sunday all week long, then this is your place. Book a table at Tous les Jours Dimanche online now. 7. 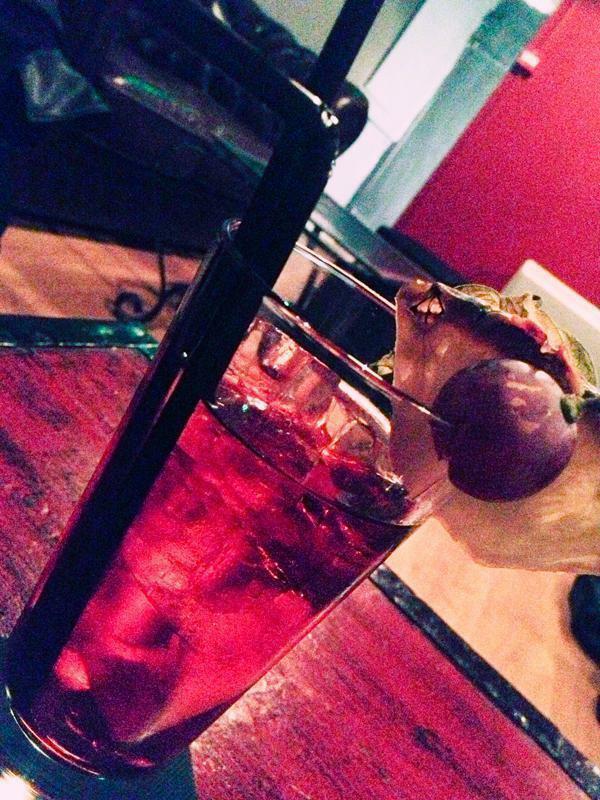 Le Dandy (67 rue Basse) – If you’re looking for a real, old-school, cocktail bar (with a side of hipster, speakeasy fun), then Le Dandy is your spot. It’s hard to choose from the vast drinks menu, but you have comfy leather couches to curl up in while you make your decision. Enjoy your cosmo with a prohibition flair and party like it’s 1929. La Cant’In, Lille – You can actually see the entire (tiny) interior in the main photo. The menu is seasonal, organic, and elegantly presented. The service was warm and friendly, despite our server having to trek up and down a narrow spiral staircase with our food. My fish with wild mushrooms seemed like an odd combination at first but it was excellent and Andrew loved his meltingly tender pork. 9. Le Barbier Qui Fume (69 Rue de la Monnaie) – Despite being our first stop in Lille, I’ve saved the best for last. Le Barbier Lillois was our favourite foodie experience of the trip and we would both return in a second. This restaurant and deli specialises in smoked meats and they do smoke everything. 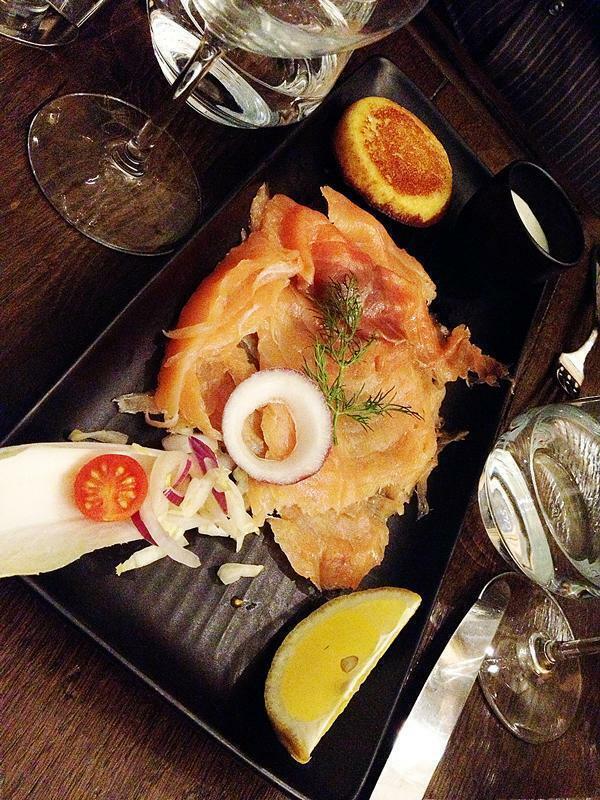 To start, we shared an excellent smoked salmon, which was not too smoky and overpowering. Andrew’s main course was thinly sliced beef with an entire smoked Camembert – for dunking the meat in. Seriously gorgeous. 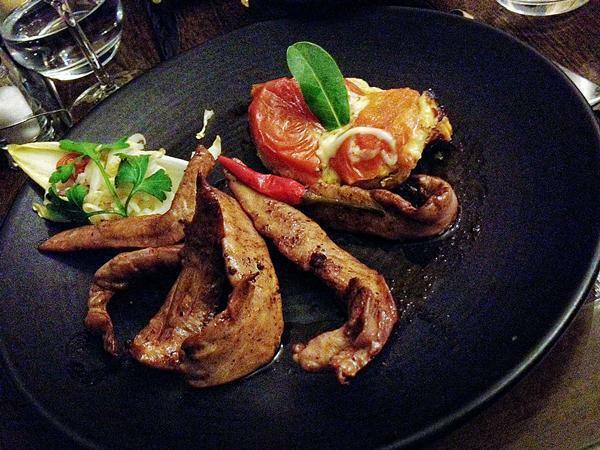 But, we agreed, my main dish stole the show – strips of deeply smoked, delicately spicy duck. It was one of the best things I’ve eaten in a long time. 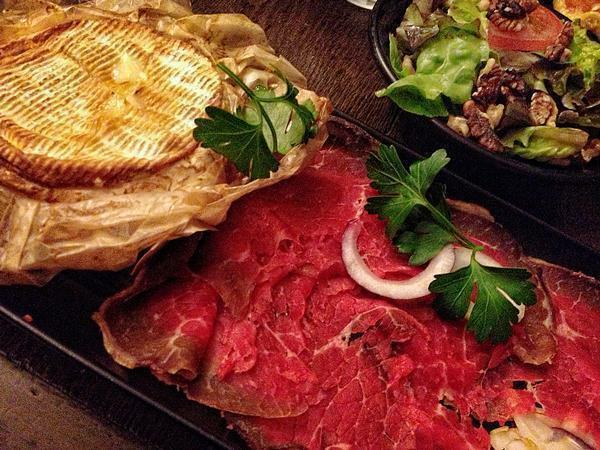 If you enjoy smoked meat, this is a must-do for your next trip to Lille. You can book a table at Le Barbier Lilliose online now. 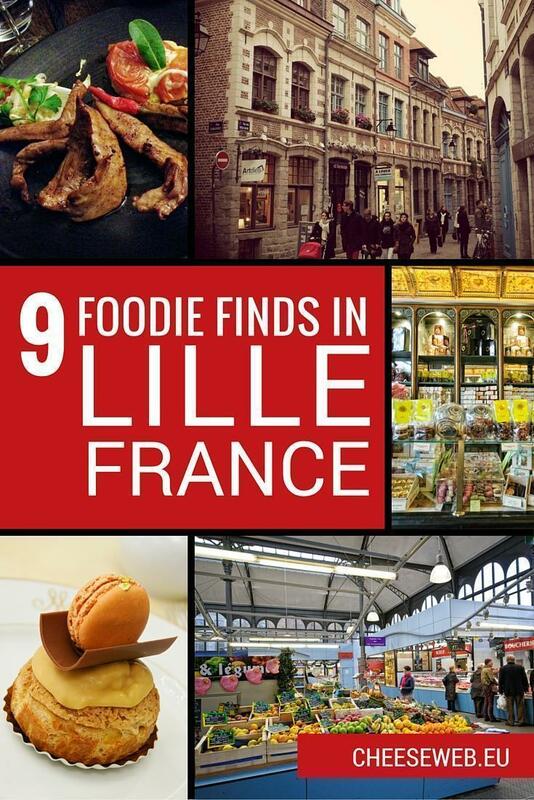 If we managed to discover nine foodie finds on our first ever trip to Lille, we’re sure there must be many more. If you have some, please share them with us in the comments below, so we can start our list of places to visit next time! For more great restaurants around the world, check out our Restaurant Review page. Thanks again to iDBUS for sponsoring our travel to Lille and giving us the opportunity to discover this great foodie city.